Once inside it can often be difficult to see. When you’re caught up in the endless heavy metal activity; the purchasing of records and the sporting of band t-shirts, it can be easy to forget that metal can be a little silly at times. Whether it’s the over the top sword swinging antics of classic acts like MANOWAR or the walls of black and white face paint worn by some black metal bands, the genre can inadvertently come across as a rather odd. However, Irish thrashers, GAMA BOMB, take great pride in embracing that silliness and bringing it to its extreme through intentionally hilarious lyrics and lightning fast music. Although ‘Ninja…’ is no slouch, it’s still somewhat slower than what GAMA BOMB fans may be accustomed to. However, the tempo picks up on the following track, ‘Avenge Me!’, returning to the band’s signature brand of speed metal; a sound that’s ever present throughout the rest of the 30 minute album. As ‘Avenge Me!’ thunders through its ghostly tale, it’s also sprinkled with a few sparks of genius. The slight break at the chorus which threatens to slow down just for an instant before taking off at full speed once again is fantastically written and Philly Byrne’s rhythmic vocals during the middle eight sound like they might have a slight hint of hip-hop influence to them while simultaneously being reminiscent of Apocalypse 1997. 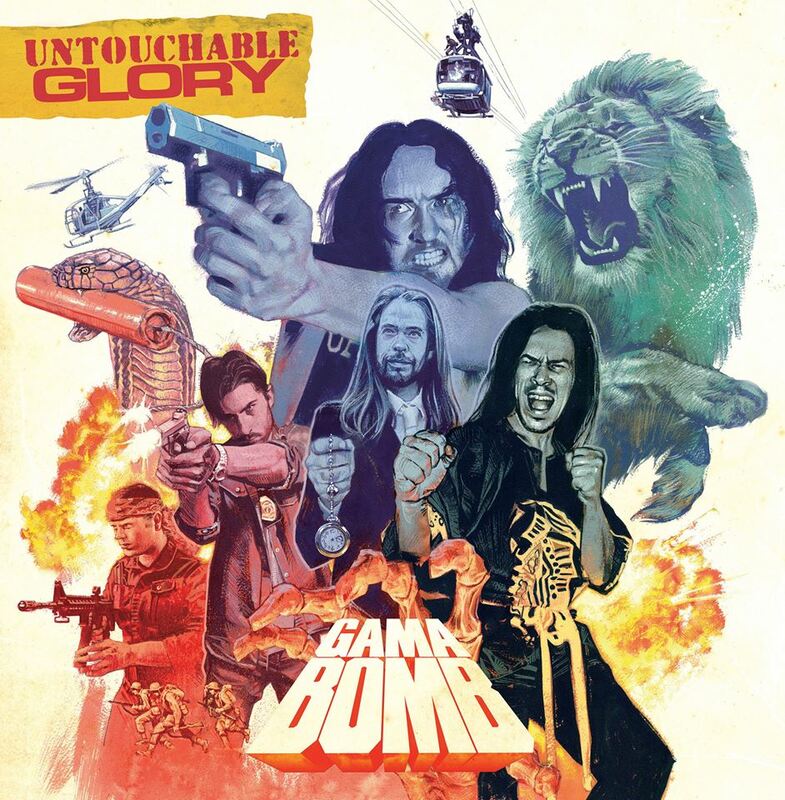 It would be easy to dismiss GAMA BOMB as a one trick pony or as a parody band, due to their constant barrage of humorous lyrics and retrospective pop culture references. However, the truth is that the song writing and musicianship present on their records is nothing short of amazing. This has been the norm throughout their last four records and this rule of thumb is reinforced, if not exceeded, on “Untouchable Glory”. They are the embodiment of fun, taking what is often a deadly serious sub-genre, seeing it for what it is and turning it on its head to fit their needs. No other band would get away with writing such well made thrash metal songs about Teenage Mutant Ninja Turtles, zombies and video games. This is a reason why GAMA BOMB are Ireland’s premier thrash metal act.